Joanne Irene Gabrynowicz – Director, National Center for Remote Sensing, Air, and Space Law; Editor-in-Chief, Journal of Space Law – B.A., Hunter College , J.D., Yeshiva University Cardozo School of Law. Prof. Gabrynowicz teaches space law and remote sensing law. She was a founding faculty member of the University of North Dakota Space Studies Department. Prof. Gabrynowicz is an official observer for the International Astronautical Federation to the UN Committee on the Peaceful Uses of Outer Space. She was a member of the International Institute of Space Law delegation to the Unidroit Committee of Governmental Experts for the Preparation of a Draft Protocol to the Convention on International Interests in Mobile Equipment on Matters Specific to Space Assets. The UN Office of Outer Space Affairs asked Prof. Gabrynowicz to lecture on space law at two capacity building workshops for government officials and policymakers from developing nations. She briefed U.S. Secretary of the Interior Gayle Norton as part of the Secretary’s preparation for the Earth Observation Summit. Prof. Gabrynowicz is the organizer and chair of the Federal Advisory Committee for the National Satellite Land Remote Sensing Data Archive. She also is a member of the Department of Commerce Advisory Committee on Commercial Remote Sensing. Prof. Gabrynowicz advised the Eisenhower Institute on its study, The Future of Space—the Next Strategic Frontier. She is also a member of the International Society for Photogrammetry and Remote sensing International Policy Advisory Committee. Prof. Gabrynowicz was a founding faculty member of the Space Studies Department at the University of North Dakota, where she also served as its Director of Graduate Studies. She taught traditional campus classes, on two U.S. Air Force bases, and via distance learning technologies. Her students include civilians, government, and industry aerospace professionals, and officers of the Air Combat, Air Mobility, and Space Commands. In 1999, she developed and taught a live, real-time, interactive Internet seminar, Landsat 7 Live: Past, Present, and Future that coincided with the satellite’s launch. Speakers were the principals responsible for directing Landsat 7’s science, technology, operations, and commercial activities. From 1992-94, Prof. Gabrynowicz was a member of The Congress of the United States Office of Technology Assessment Earth Observations Advisory Panel. From 1994-96, she was a member of the National Research Council Committee that produced Bits of Power: Issues in Global Access to Scientific Data. In 1994-95, Prof. Gabrynowicz was awarded a NASA/American Society of Engineering Education Summer Faculty Fellowship from Goddard Space Flight Center where she also served as the 1997 Dean of the NASA Space Academy. In 1996 she received a research fellowship from the USGS EROS Data Center. In 1999, the International Institute of Space Law invited Prof. Gabrynowicz to write and present the remote sensing law position paper at the Third UN Conference on the Exploration and Peaceful Uses of Outer Space (UNISPACE III). In 2000, she was invited by the National Research Council (NRC) to participate in a study on Diplomacy in a Transparent World: The Use of Civil Remote Sensing in the Development and Implementation of Foreign Policy. In 2003, the NRC asked Prof. Gabrynowicz to testify before the Committee on Licensing Geographic Data and Services and the Stepping Stones to the Future of Space Workshop on International Cooperation/Competition- Why, How, When? She was also asked to address the NASA Public Health Applications Program on Confidentiality and Geospatial Data. In 2001, Prof. Gabrynowicz was invited by the American Institute of Aeronautics and Astronautics to participate in the working group on Contribution of Space Systems to the Development, Implementation and Verification of International Environmental Agreements. She was invited by the University of Cologne Institute of Air and Space Law and the German Aerospace Center to serve as an expert for Project 2001 which produced, Legal Framework for the Commercial Use of Outer Space Working Group on Remote Sensing. Before beginning her academic career in 1987, she was the managing attorney of a law firm in New York City. She is a member of the American Bar Association, Forum on Aviation and Space Law, the New York State Bar, the International Institute of Space Law and Women in Aerospace, among other groups. Prof. Gabrynowicz is the recipient of the 2001 Women in Aerospace Outstanding International Award. She was a Distinguished Speaker in the 2003-2004 Donahue Lecture Series of the Suffolk University Law Review. Jacqueline Etil Serrao – Associate Director, National Center for Remote Sensing, Air and Space Law; Executive Editor, Journal of Space Law – B.A., University of California Los Angeles, J.D., Golden Gate University School of Law, LL.M., McGill University Institute of Air and Space Law. Prof. Serrao is a Member of the State Bar of California and is a certified private pilot. Professor Serrao currently teaches U.S. Aviation Law and International Aviation Law at the University of Mississippi School of Law. In addition to teaching, she serves as the Executive Editor of the Journal of Space Law and as an Associate Editor of the American Bar Association, The Air & Space Lawyer. Serrao also assists foreign governments and airlines in aviation law issues and legislative drafting, and has served as the Aviation Law and Regulatory Advisor to the Governments of Mongolia, Mozambique, United Arab Emirates (Abu Dhabi), and Kosovo, where she has drafted their civil aviation laws, regulations, and policies. Previously, Prof. Serrao was an associate at the California law firm Chevalier, Allen & Lichman, LLP, where she counseled public and private entities, including airports and airlines, in aviation, environmental, land use, regulatory law, international law, commercial transaction law, and appellate level litigation. Prior to joining Chevalier, Allen & Lichman, LLP, Serrao was an International Aviation Operations Specialist at the Office of International Aviation, Federal Aviation Administration (FAA), where she was responsible for creating and analyzing policies related to the FAA’s international program, with particular emphasis on the International Aviation Safety Assessment Program (IASA). In that capacity, she assisted in the review of foreign civil aviation governments’ laws and regulations during in-country IASA technical review visits, and wrote and formulated U.S. Policy arguments for the negotiation of bilateral and multilateral international aviation agreements between the U.S. government and members of the Andean Republics. Before her term at the FAA, Serrao was an Assistant Professor of Aerospace Law at the University of North Dakota, Center for Aerospace Sciences, where she taught Aerospace Law, and Airline/Airport Economics and Management. Serrao has served as an accredited representative of the International Law Association at the United Nations International Civil Aviation Organization diplomatic conferences in Montréal, Quebec. She is frequently asked to speak around the world on issues relating to aerospace law, aviation environmental law, and space law. P.J. Blount – Research Counsel and Instructor of Law, National Center for Remote Sensing, Air, and Space Law; Staff Editor, Journal of Space Law – B.A., A.B.J. University of Georgia, J.D., University of Mississippi, LL.M., King’s College London. Mr. Blount is a member of the State Bar of Georgia, the International Institute of Space Law, and the ABA Forum on Air and Space Law. Before joining the Center, Blount completed his LL.M. at King’s College in London, where he wrote his thesis on the topic of Jurisdiction in Outer Space. He also served as a student editor on the Journal of Space Law while pursuing his J.D. at the University of Mississippi. Blount’s current research focuses on legal issues of space security, and he currently teaches space security law. 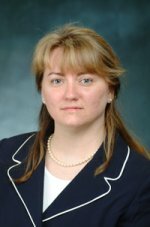 Sara M. Langston – Research Counsel, National Center for Remote Sensing, Air, and Space Law; Staff Editor, Journal of Space Law – B.S., Woodbury University, J.D., Golden Gate University School of Law, LL.M., Leiden University International Institute of Air and Space Law, Space Studies Certificate, International Space University. Ms. Langston has a technical background in military aviation from the U.S. Army, as well as consulting experience in aerospace law and policy, aviation law and policy, and comparative international law. Previously, she worked as an aviation consultant with The Wicks Group, PLLC, and as a legal advisor for Space Horizon, a Dutch company interested in engaging in suborbital space tourism. While in law school, she served as an editor on the school’s International Law Journal, and at Leiden University she wrote her LL.M. dissertation on the issue of suborbital flights. Her past research includes analysis of commercial human space flight and the interplay of international and national aerospace law. She is a member of the International Institute of Air and Space Law, the ABA Air and Space Law Forum, the American Astronautical Society, and Women in Aerospace. In addition, Ms. Langston is currently pursuing a private pilot’s license. 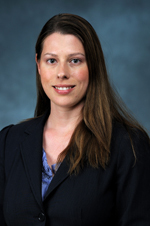 Michelle L. Aten – Assistant Director, National Center for Remote Sensing, Air and Space Law; Business Manager, Journal of Space Law – B.S., James Madison University, M.S., University of North Dakota, PhD candidate, ABD, University of Mississippi. Ms. Aten has 16 years of experience in the aerospace industry, specifically related to remote sensing and geospatial technologies. Previously, Ms. Aten was the Associate Director of the University of Mississippi Geoinformatics Center. She was Associate Director of the Institute for Advanced Education in Geospatial Sciences, where she managed the development of a dynamic and interactive series of online courses that set a new standard for distance learning. In the private sector, Ms. Aten was a Program Manager for Titan Corporation, where she was responsible for the management of the company’s world-wide remote sensing ground receiving station contracts. She also has extensive sales and marketing experience from her positions as U.S. Sales Manager for a division of PCI Geomatics and Technical Support Manager at SPOT Image Corp.